We also offer a number of professional office product services, including service and repairs, managed print services and more. 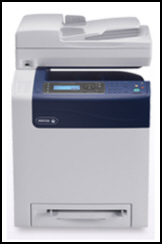 As an Authorized Xerox Agent, we are your number one source for both new and used products and services. To find out more about our product line, just visit our Products page. To learn more about our services, please visit the Services page. When you're ready to make contact, just visit our Contact page for the best method to communicate with our experienced knowledgeable support team. At Annapolis Office Products, we look forward to serving you. Check out the Xerox WorkCentre 6505/C and other fine Xerox products geared for small and medium sized businesses at Annapolis Office Products. Or browse our entire catalog to find just the right machine for your business needs. Copyright 2011 Annapolis Office Products. All rights reserved. Site created and hosted by TC Concepts.